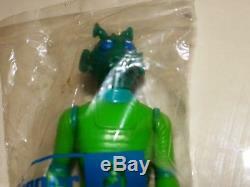 VINTAGE STAR WARS FIGURE - GREEDO. Mint in sealed factory bag w/weapon. Greedo to the best of my knowledge has never been removed from bag. 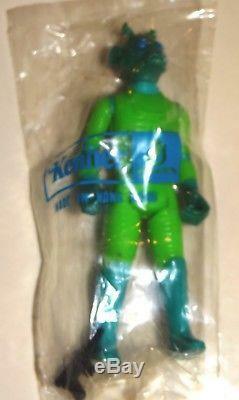 Its a standard "Kenner" Bag, sealed on both ends - Kenner blue writing on the bag. Bag has a few small holes. Starting to thin my collection and will be listing many figures over the next few days. Please check out my other auctions for quality items from my collection. LOOKING FOR A "RIGHT" leg to a DRIODS C3PO. 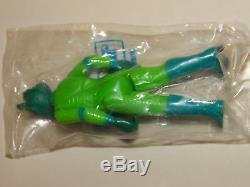 The item "VINTAGE STAR WARS GREEDO SEALED BAGGIE FIGURE WithWEAPON" is in sale since Monday, November 26, 2018. This item is in the category "Toys & Hobbies\Action Figures\TV, Movie & Video Games". The seller is "gobster-l-ltd" and is located in Hauppauge, New York. This item can be shipped worldwide.